The Change Your Name Store is my debut picture book. On May 6th, Wilma Lee Wu will be introduced to the world. I can’t wait. Here’s your chance to know more about The Change Your Name Store. I arranged this post in a Q-and-A format because interviewing myself is more interesting than washing windows, something I should be doing. This is Part 1. The second part will come when I should be cleaning my bathrooms. 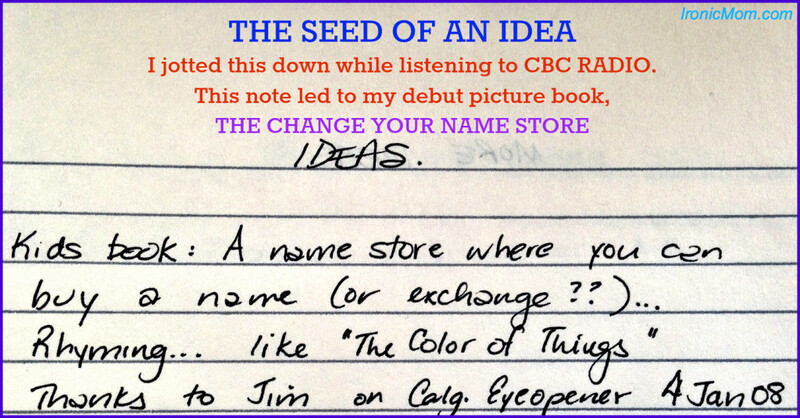 How did the idea of writing The Change Your Name Store come to you? What is it that you hoped to accomplish by writing The Change Your Name Store? More than anything, I want kids and parents to be entertained. 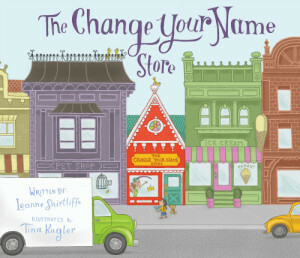 The Change Your Name Store is a story about a girl—a spunky, independent, lovable girl—on a quest. I would also love it if the book helps kids to become curious about other parts of the world and about the diverse cultures around them. Quite a bit, actually. I had to research common names in each country. For example, I’m friends on Facebook with some of my former students from Bahrain. I asked one if “Salima bint Sami al Sala” would be a girl’s name in Bahrain; she informed me that Salima was an uncommon name in Bahrain and that Samiya was much more common. So I changed it. Why did you choose Wilma Lee Wu as the name of your main character? Wilma was my grandmother’s name. It isn’t a common name now, and I liked the idea of bringing some recognition to my paternal relatives. “Lee” and “Wu” followed. Wilma Lee Wu was lyrical. I wanted Wilma to be from a mixed cultural background, having parents with different ethnic roots. Wilma’s parents are both North American. Her mom’s background is Korean and her dad’s is Chinese. Why did you choose an Asian protagonist? I didn’t start out with the idea of having an Asian protagonist. I just started developing an interesting character. I lived in Asia for eight years. It’s where I met my husband and where my children were born. I have a niece and nephew who are of Asian decent, as are many of my students. Having an Asian main character seemed natural and normal. According to the Cooperative Children’s Book Center, only 2% of picture book characters are Asian. Does that surprise you? It really does. In fact, I wasn’t aware of that statistic until my manuscript was in the hands of my illustrator, Tina Kügler. It’s shocking that 93% of main characters in picture books are Caucasian; that stat is nowhere close to showcasing the diversity we have in Canada or the US. if you live in Alberta, come to my book launch on May 10! if you live in SoCal, come to Tina’s book launch on May 10! This sounds fantastic – I look forward to getting it for my girls!